The school offers the following National Curriculum subjects for all pupils. 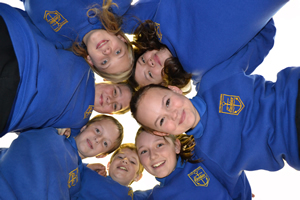 The school offers the Welsh Baccalaureate Qualification (WBQ) at Intermediate and Foundation levels in KS4. The diploma consists of the Learning Core Elements – Essential Skills, Work Related Education, Wales, Europe and the World, PSHE, Careers and Community Participation, together with the “options” which are the subjects studied by students. The WBQ is a 2 year programme. In addition pupils may choose from a range of options, including all the subjects taught in the first three years, plus Business Studies, BTEC Business Studies, Health & Social Care, National Skills Profile (and ASDAN), Drama, Food Technology, Construction Skills, BTEC Art, BTEC Engineering, Child Development, Textiles, Cambridge Nationals in ICT (Level 2) and BTEC Sport. All pupils in KS3 and KS4 follow a programme of Essential Skills development in PD. Pupils also develop their Essential Skills through study in their Core and Optional subjects. In KS4 students develop all 6 main and wider Essential Skills and seek to gain accreditation in the main Essential Skills and some of the wider Essential Skills for the WBQ. The school offers the Advanced Level Welsh Baccalaureate Qualification to all students who follow Advanced Level courses. This consists of Core and Options elements. 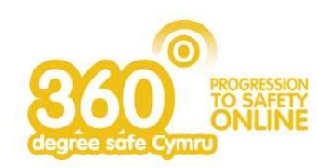 The Core comprises of the six Essential Skills – Communication, Application of Number, ICT, Working with Others, Problem Solving and Improving Own Learning and Performance, PSHE, Wales Europe and the World, Work Related Education and Community Participation. The Options element consists of the AS and A2 qualifications listed below. In the Sixth Form (Years 12 and 13) the school has a wide range of ‘AS’ and ‘A2’ Levels including all subjects in the 11 – 16 curriculum, with he exception of Construction and National kills. We also offer Sociology, Electronics and Photography. We have extended the range of choice still further by sharing courses with Pembroke and Greenhill Schools. Milford Haven pupils can study Media Studies, Spanish, Business and Economics, BTEC Sport and Geology at Pembroke and Computing, Travel and Tourism, BTEC Art and Further Mathematics. Pupils also take part in PE and RE in the Sixth Form. Please note that courses only run if classes are viable. For students who do not follow Advanced Level courses in the Sixth Form, the school offers BTEC First qualifications in Health & Social Care and Travel & Tourism. The Essential Skills of Communication, Application of Number, ICT and the wider Essential Skills are offered as part of the WBQ Intermediate Diploma. We offer a Life Skills Course at Entry Level.